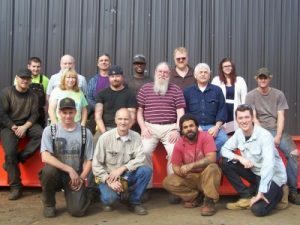 The Nordholm team is made of hard-working, dedicated and knowledgeable employees – some have been with us for decades. It takes a unique group to run the specialized equipment of our field and to compete in a highly competitive environment. We train each employee and certify they have the skills and experience to operate the equipment safely. But we also know that each individual has much to offer. The Nordholm companies value a strong work ethic and our employees deliver. We look for workers who think for themselves: problem-solvers, communicators, inventors. Our employees don’t just want a job, they’re looking for a career and have a passion for what they do. Our dedicated employees do whatever needs to be done to complete the job in a safe and economically efficient way. That helps us lead the field in overall job performance. The Nordholm companies are dedicated to helping with career advancement and we offer long, satisfying employment. From time to time, we offer an apprenticeship program. Students in engineering fields should consider Nordholm. We offer on-the-job-training with mentorships by leaders in the field. There’s also the possibility that an apprentice can become a member of our team. Hands-on experience is an impressive addition to anyone’s resume. It can help obtain a position at a competitive salary and can help pay down or eliminate student debt. 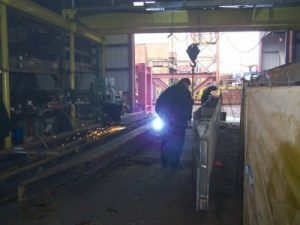 Nordholm also occasionally offers apprenticeships in the fabrication side of our business with a training program working directly into a full-time position. Please contact us at info@nordholdholmcompanies.com for further information.